The case study region Harju County is located in Northern Estonia on the southern coast of the Gulf of Finland. Its area is 4,338 km². Harju County is home to the capital of Estonia – Tallinn. The population of the county is 582 thousand, 432 thousand of the population lives in Tallinn. Suburbanization occurs in the area surrounding the capital. Almost 80% of the population lives in urban settlements. Population density in rural areas is rather low. There was 73,900 ha (17% of the county territory) agricultural land in use in Harju County (2016). As estimated, about one quarter of arable land and permanent grassland was out of agricultural use. A reasonable part of former agricultural land has been used for developing new residential or industrial areas – especially in the vicinity of Tallinn. A large share of Harju County is covered by forest. 215,700 ha (50% of the county territory) is forest land (2016). The forest is among Estonia’s most important natural resources and a source of a considerable amount of raw material. Harju County is a region where the vast majority of population has no personal connection with rural production but is quite sensitive about the recreational, esthetical and cultural heritage features of the rural and natural environment surrounding the settlements. 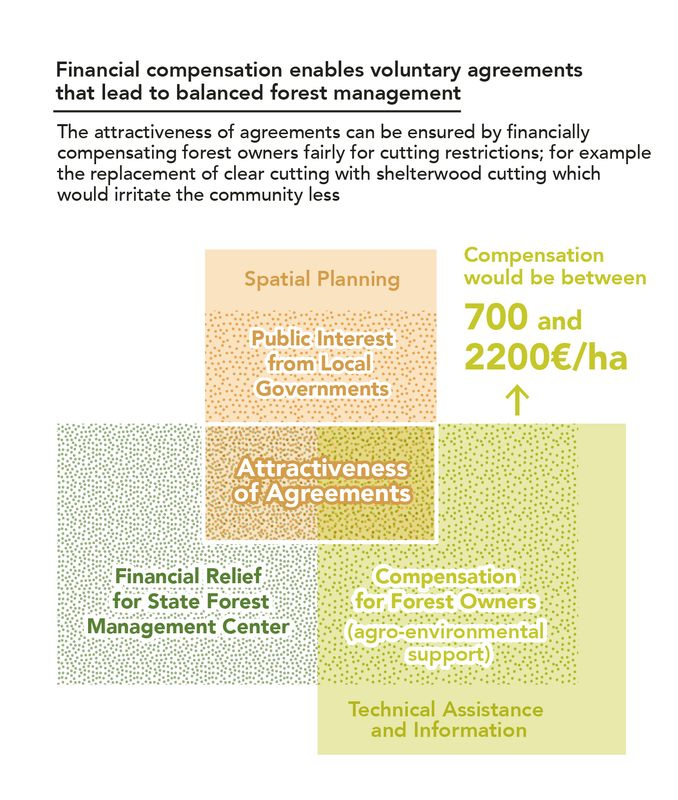 A substantial part of forests in Harju County have achieved maturity and may go under cutting in the coming 10 years. 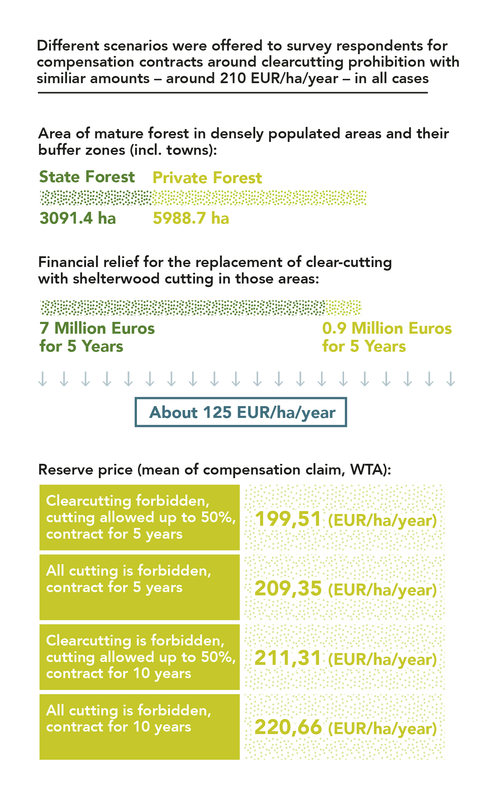 We investigated the provision of the public goods of scenery and recreation by the forestry system in a context of high risk of large scale clear cutting deteriorating the living environment around densely populated settlements.